Just because you’re working with a small marketing budget doesn’t mean you can’t get a lot of bang for your buck. 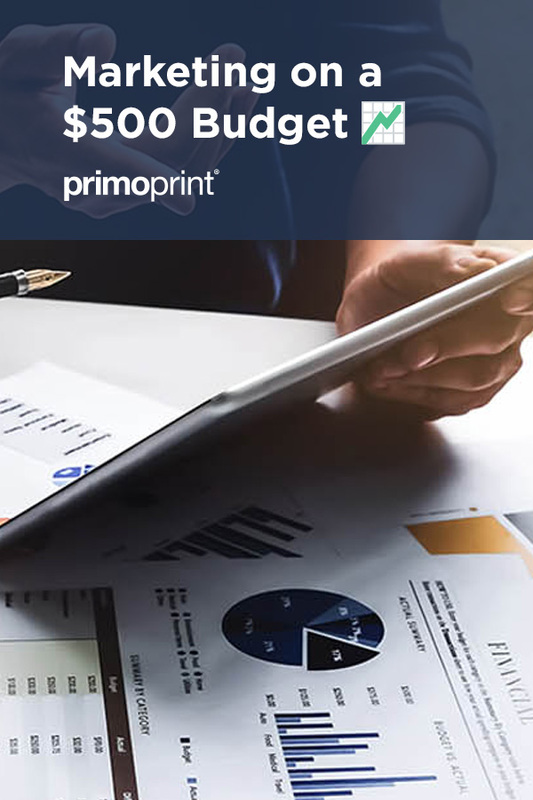 A budget of $500 may seem light, but there are many affordable marketing strategies that can help you acquire the leads and customers you need to start building a respectable revenue stream. Here is a list of various marketing strategies you can implement with only $500. Because many businesses have shifted their budget to digital marketing, the number of junk mail a household receives has decreased over the years. This means that there will be significantly less competition with a direct mail campaign. In fact, Direct Mail postcards produce a 5.1% average response rate. 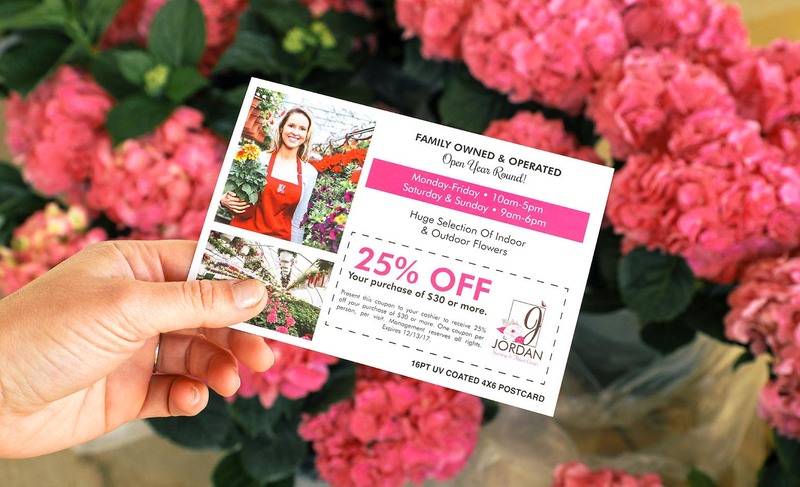 One of the most cost-effective ways to go about your direct mail campaign is to use custom postcards. Postcards are effective for several reasons. Receivers don’t need to be open them (half the battle) to see your offer. Postage and printing costs are both low and affordable. Well-designed postcards stand out in comparison to regular mail. One of the best ways to acquire new customers is to form a partnership with a business that’s related to yours but not in direct competition with you. The partnership can be anything from cross promotions, referral systems, to marketing each others product/services. To make partnerships work, you have to make the deal a win-win relationship. That’s why you want to approach businesses that are at the same level as you. You also need to ensure that both parties deliver a similar amount of value to each other or the partnership won’t last long. Take the necessary measures to ensure you deliver on your end and also have a way to make your partners accountable for their part. Email marketing is one of the most affordable marketing strategies you can utilize. Subscribe to an email marketing platform like Mail Chimp, Constant Contact, or SendGrid. They cost around $10 to $20 a month for the standard plans and pricing only scales up as your email list size grows. Success with email marketing comes down to creating strong campaigns and using your analytics for optimization. According to the DMA, every $1 spent on email marketing can return an average of $38 when the campaign appropriately executed. While most businesses offer up-sells, cross-sells, and use follow up marketing campaigns to sell more products, very few have a loyalty program in place. A loyalty program is one of the best ways to keep customers coming back again and again. The incentive will help persuade clients to continue choosing your products and services over those of your competitors. The trick to a winning loyalty program is to make sure you engage your customers and provide valuable rewards. Make sure the rewards are irresistible, and your customers can efficiently manage their rewards points. An effective way to generate new customers with a small marketing budget is to create a referral program. The program is designed to reward your current customers for bringing their friends and family to your business. You can reward clients by providing them with special discounts, offering them free products/services, or simply paying them a flat commission for the referral. While you can set up something like an affiliate program, it’s often better if you can keep things simple. For example, companies like T-Mobile pay their customers a $50 prepaid credit card when they refer somebody, and that person opens a new account with the company. Sam’s club is another example. They encourage members to refer their friends. For each referral that joins, $10 gift card is mailed to the existing club member and a $20 gift card is sent to the referral. Be sure to offer rewards to both the referred client and your existing client. Content marketing has become one of the most effective digital marketing strategies over the last few years. The reason why is because it synergizes well with other strategies like blogging, SEO, brand marketing, and social media marketing. It is an inbound marketing strategy that helps you generate leads while establishing authority and credibility through your content. This is often referred to as E-A-T, which stands for Expertise, Authoritativeness, and Trustworthy. Content is essential and Google is continuously crawling websites to make sure users are getting a good online experience and if the content meets their standards. This strategy is very cost-effective because you can create your original content, repurpose existing content, or curate content from existing publishers. It’s estimated that content marketing costs 62% less than outbound marketing. The challenge comes down to figuring out what kind of content you should create for your target audience and how to make sure that it gets into their hands. Social media is often a go-to for businesses working with small budgets. Sites like Facebook, Twitter, Instagram, Pinterest, YouTube, and LinkedIn all have tools that can help you acquire leads and customers. For example, Facebook has a local review system, check-in feature, and various call to action functions that allow your visitors to do everything from schedule appointments, buy products, contact you, or subscribe to your email list. You can make social media work for your business with a grassroots approach. It’s all about being creative with your social media content and learning how to build a following. Managing multiple social media accounts and being consistent with your posts is a must, but can be challenging. 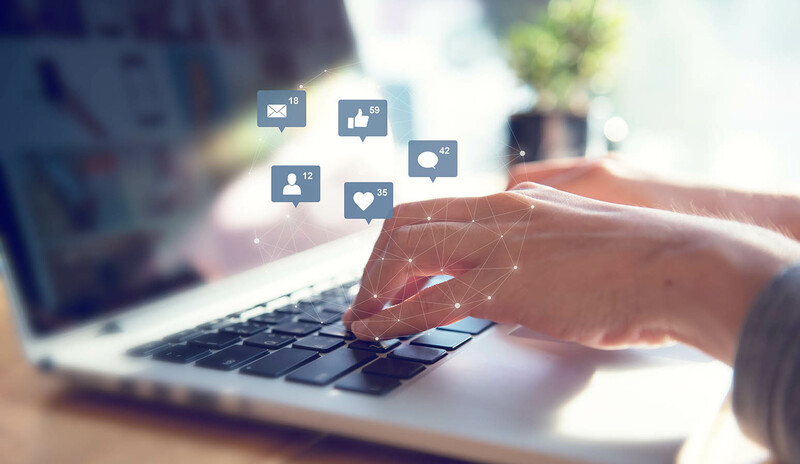 Fortunately, tools like Hootsuite, Sprout Social, and Buffer can help you manage, schedule, and automate your social media posts across multiple platforms. You may think that using printed marketing material is outdated, but it can still generate great results for your business. There are numerous instances of a customer walking into a restaurant after being handed a flyer that contains their menu, photos of their food, and special deals. You want to start by getting straight to the point and providing a unique sales proposition. Why should customers stop what they’re doing and visit your business or website? Follow up by explaining the features and benefits of you’re offering. Provide clear instructions along with a strong call to action. It’s helpful to include redeemable discount coupons on the bottom or back of your flyer. Even if the person doesn’t take action right away, they might save the flyer for future redemption. Don’t assume a small budget will limit your ability to market and grow your business. It’s all about using the right marketing channels, strategies, and being creative about your approach.